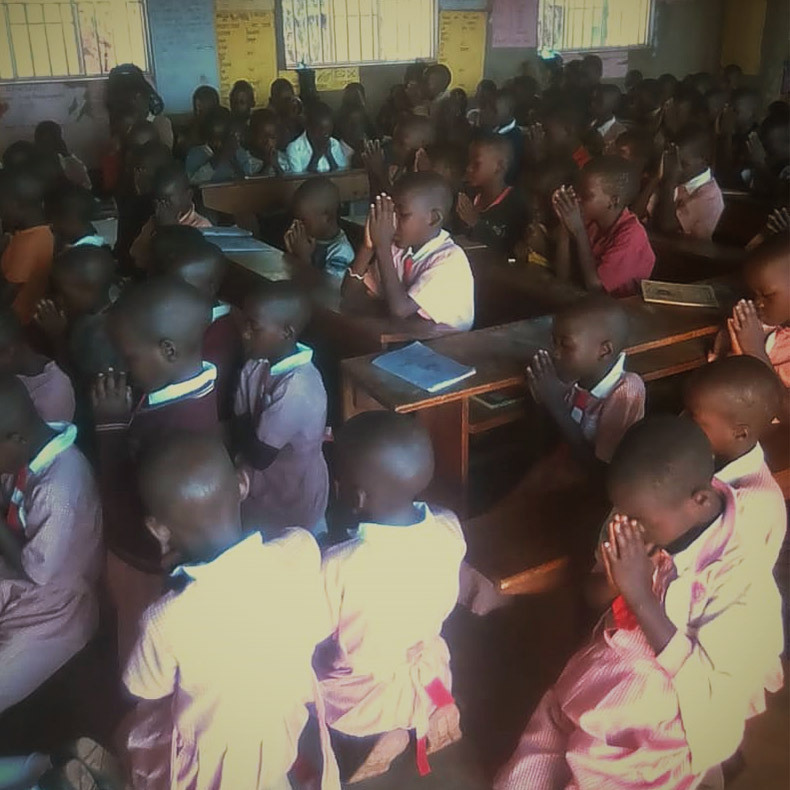 Prayer is central to all that we do at EVC Uganda and we encourage our supporters to pray for the success of our work. 'The prayer of a righteous man is powerful and effective', so writes James in chapter 5 verse 16 of his letter. So a small group of us meet together on the last Wednesday of each month for a time of worship, prayer and updating, bringing the work of EVC to the Lord and asking for Him to cause our work to grow and be successful. We would love to see this group increase in size and, for any who are able, to join us in these times. We meet for just over an hour at 8 pm at Our Lady of Ransom RC Church in Kempston every last Wednesday of the month. Please see the blog post about our prayer meeting for further details. The success of the appeal in Orpington and the generosity of parishioners. The greatly improved communication with Uganda through WhatsApp and email. That Ted and Judi have been kept safe as they travel longer distances on busy roads. The contribution of the new trustees, Andy, Neil and Jenny. The growth EVC has experienced in the last 4½ years. The good relationship being developed with Gonzaga. Jesus to be at the centre of our work and for wisdom to discern God’s leading and direction for EVC. More resources, especially volunteers, so that we can better take advantage of the opportunities offered to us. Safety on the roads as Judi and Ted travel long distances to appeals. For churches we have already visited, to take EVC as one of the projects they support longer term. Already there are three where there is this possibility. For Ted as he continues to seek appeals in churches, that he would have continuing success with this. For Father Boniface to be able to organise a good, comfortable place for Neil to stay in July when he hopes to visit the projects with Ted and Judi. Success for Andy and Gordon as they apply to trusts and foundations for larger grants. "In all your prayer and entreaty keep praying in the Spirit on every possible occasion. Never get tired of staying awake to pray for all God's holy people." 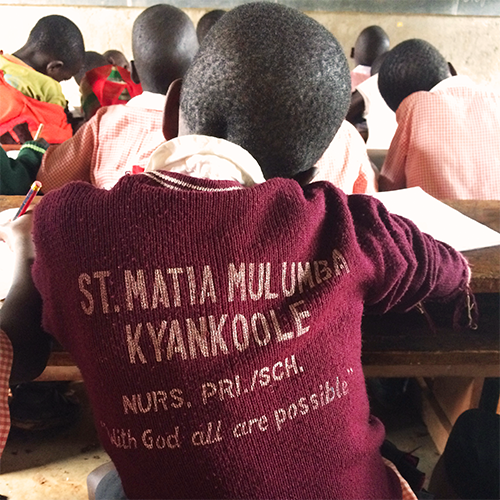 Sign up to our newsletter to keep up to date with our work in Uganda and our fundraising efforts.